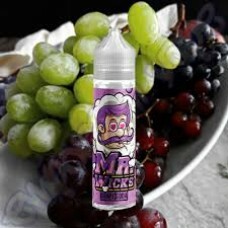 Grape Soda by Mr Wicks is a refreshing grape soda e-liquidFeatureNicotine: 0mgSize: 50ml (60ml .. 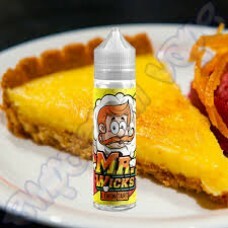 Lemon Tart by Mr Wicks is a zesty tongue tingling lemon tartFeatureNicotine: 0mgSize: 50ml (60m..
Tangy and tart these two fruits will have you fizz ..
A cool refreshing peach and strawberry soda to quench y..
Sugar candy pear sweets and raspberry candy jellies thrown&n..
Raspberry & Lychee E-Liquid is a sweet ripe raspberries with tasty lychees.FeatureNicotine: 0mgS..
Rhubarb and custard sweets, the little pink and yellow ..
Sweet and sticky toffee popcorn.FeatureNicotine: 0mgSize: 50ml (60ml bottle)PG30/VG70Flavour Profile..
Fruity and creamy ice cream lolly. 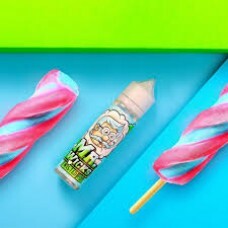 Just like those from your favourite ice cream truck.FeatureNicoti..
Berry menthol with a black jack twist. FeatureNicotine: 0mgSize: 50ml (60ml bottle)PG30/VG70Fla..